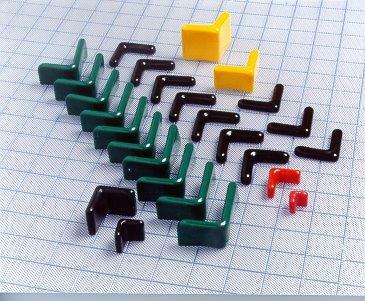 Carlisle Plastics Company offers a broad selection of plastic / pvc angle caps. We have stock production dies for a variety of sizes as well as the capability to produce dies in our tool shop. Angle caps are suitable for a wide range of uses. They provide an attractive yet inexpensive finishing solution to consumer products as well as tough, durable industrial protection. Many Standard Sizes Available – you pay no tooling setup costs for most sizes and shapes for which we already have Stock Production Dies.